1. If your car gets stuck in the snow, try putting kitty litter under the tires to gain some traction. 2. Cover your windshield wipers with old socks so snow won't stick to them. 3. Clean your car often, as de-icing compounds can be corrosive to the surfaces they attach to. 4. To help clean the bottom of your car, run a lawn sprinkler under it for 30 minutes on a warmer day. 5. Use your car's floor mats to help you get traction if you get stuck and don't have any other options. 6. Check your tire tread using a penny. If Lincoln's head shows, get new tires. 7. Make your own winter windshield washer fluid from 2 quarts rubbing alcohol, 1 cup water, and 1 teaspoon dish detergent. 9. Cover your side mirrors with a freezer-sized ziplock bag, zipped as far as it will go. It will prevent ice from forming and you won't have to remember to clean your mirrors. 10. Use a heat rub, like what you would rub on sore muscles, to help loosen a frozen lock. 11. Park facing east, so that the sun will do much of your snow removal work for you. 12. Throw a piece of carpet or area rug over your windshield to keep off the ice and snow. Tuck it under the windshield wipers to hold it down, then toss it in your trunk when you're ready to go. If you get stuck, you can also use it to help you get traction. 13. 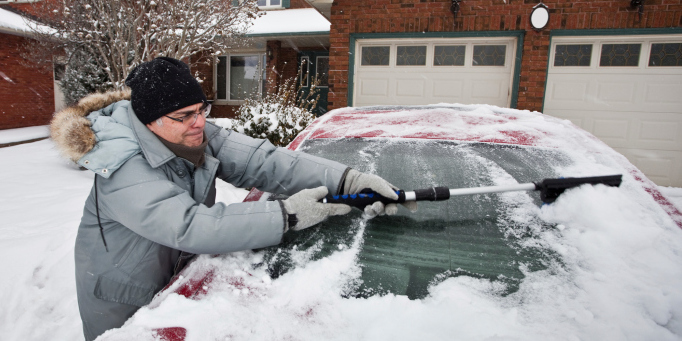 If you can't find/don't have an ice scraper use a hard kitchen spatula (not a metal one) or even a credit card to clean off windows. 14. Run your ceiling fan on low and spin it clockwise (reverse) to help warm air trapped by the ceiling to make it back down to floor level. 15. Electric blankets use very little energy. If you plan to stay in one place for while, curl up with one to save energy. 17. Use your oven as much as possible, since it will help keep your home warm. When you finish cooking, open the oven door to take as much advantage of the heat as possible. 18. Try heating your home (or at least a room) with tealights. Even if it doesn't work, it will distract you so you stop thinking about the cold for a while. 19. Utilize thick curtains to help keep heat in. If you don't want to change the look of your room, line your existing curtains with fleece or a shower curtain. If you really like this idea, place heavy curtains in front of your doors, too. 20. Insulate your garage doors to save energy and stay warm. 21. Keep a small refrigerator outside. As long as the temperature is chilly, you can keep food cold without plugging it in and save on energy. 22. Use a hot water bottle to warm your bed before you get in it (and then to keep it warm all night). 23. Put your pajamas on your hot water bottle, so they're warm when you pull them on. 24. Turn your thermostat down a couple of degrees. 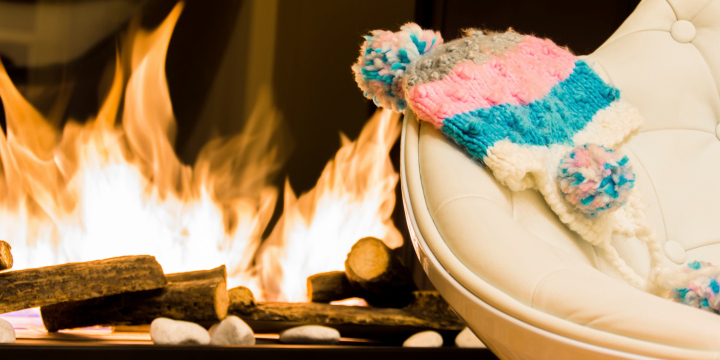 With a sweater, you won't likely notice the difference, and you can save significantly on heating costs. 25. Similarly, turn down the setting on your hot water heater. You will still be able to take warm showers, wash clothes, etc., but you will save on your energy bills. 26. You can lose a lot of heat through drafts. Caulk or otherwise fill in the space where the draft comes in, so you don't waste energy. 27. Use tin foil behind your radiator, space heater, or heating vents to reflect heat back into the house. 29. Keep your showers short. This gives your skin less of an opportunity to dry out. 30. Reduce hat hair by using dry shampoo when you remove your winter headgear. It will help lift squashed roots. 31. Take lukewarm showers. This will help keep your skin's natural oils in your skin, instead of washing them off, and will help reduce dryness. 32. Keep a teakettle filled with mulling spices boiling at all times. This will help keep the air a bit moister and will fill your home with a wonderful smell. 33. Wear cotton gloves over your hands after you moisturize. This will help lock the moisture into your skin. 34. Reduce stress and unhealthy food intake to lower your risk of cold sores. 35. Use a humidifier to help reduce the chance of nose bleeds and general discomfort from winter dryness. 36. Wear sunscreen. Even when it's snowing. Just do it. 38. Take vitamin D. Your body naturally produces this when you're in the sunlight, and so you make less in the winter. It can raise your mood significantly. 39. Organize scarves by storing them in a hanging shoe organizer. 40. Put sandwich bags on top of your socks for instant waterproofing. 41. 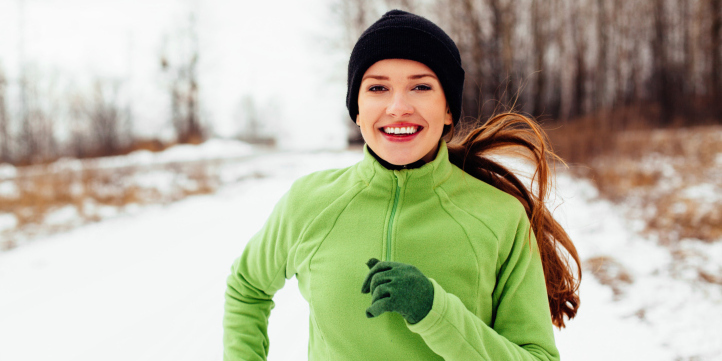 Wear layers, and not just when you work out. Layers allow you to be as warm as you need to be, no matter how the external temperature changes. 42. Run a cheap razor over a pilly sweater to remove those gross bunches of fibers. 43. Wear running tights instead of long johns for a more efficient, better wicking, and better looking base layer. 45. Place screws in the soles of your shoes to stop slipping when you run and walk. 46. 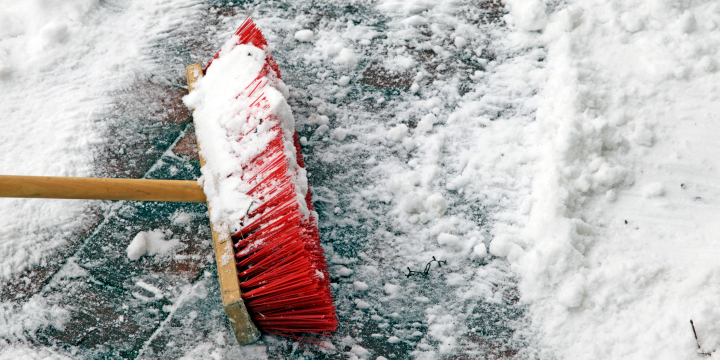 Sweep light snow away with a broom rather than a shovel. 47. Spray your shovel with nonstick cooking spray before you use it, so snow doesn't stick to it. 48. Pour a mixture of 1 teaspoon liquid dish soap, 1 tablespoon rubbing alcohol, and ½-1 gallon of water over walkways so they don't refreeze. 49. If you need to use your bike in the snow and ice, place zip ties at even intervals around each tire to create bike snow tires. 50. Add Nutella to your hot chocolate or mocha, for a different, yummy riff on an old favorite. 51. Umbrellas aren't just for rain. Use them in the snow to keep it off your head. 52. 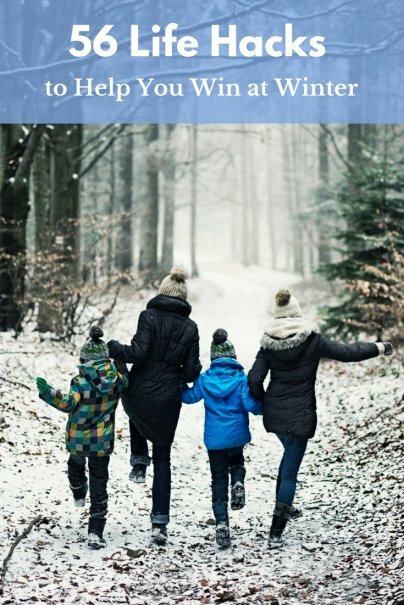 Learn how to expose winter photos, so your outdoor holiday pics come out looking grand. 53. Mix compost into your soil before it freezes in order to enhance your soil for next spring's planting. 54. Make your own wreaths, to save money or to sell. 55. Knit a winter scarf with your fingers. If you love it, make some more to give as gifts and save some cash. 56. Start a garden in your home to get a jumpstart on spring. How do you hack winter? Let us know, and we'll beat winter together! It's amazing to me having grown up in Chicago, how many people completely forget or ignore everything they learned about driving in snow in the winter. The one rule I think everyone should learn, know and practice is to give yourself plenty of time so you can arrive at your destination safely. Most of the accidents I see on the toll roads and expressways are caused by people driving too fast for weather conditions. Even if you have four wheel drive on your vehicle if you hit a patch of ice, your going to lose control. Do the math; 4 x 0= 0 and nothing is going to change that equation.